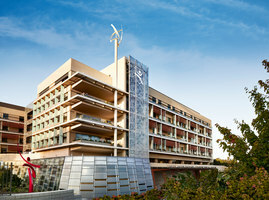 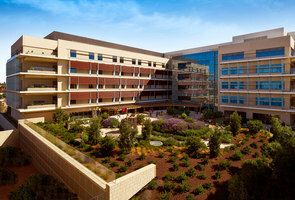 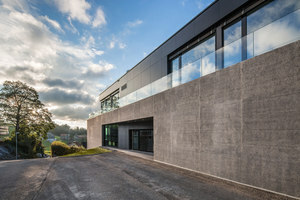 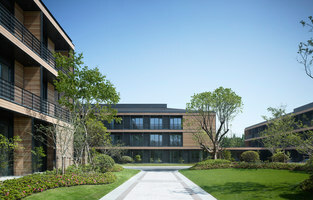 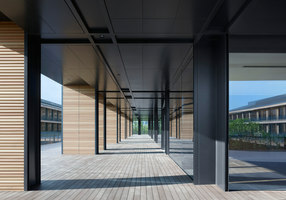 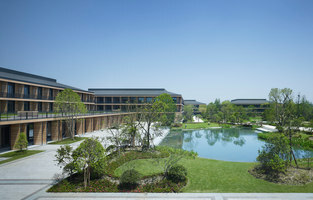 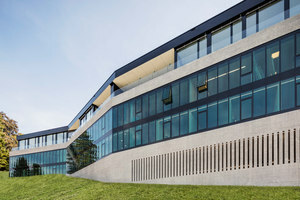 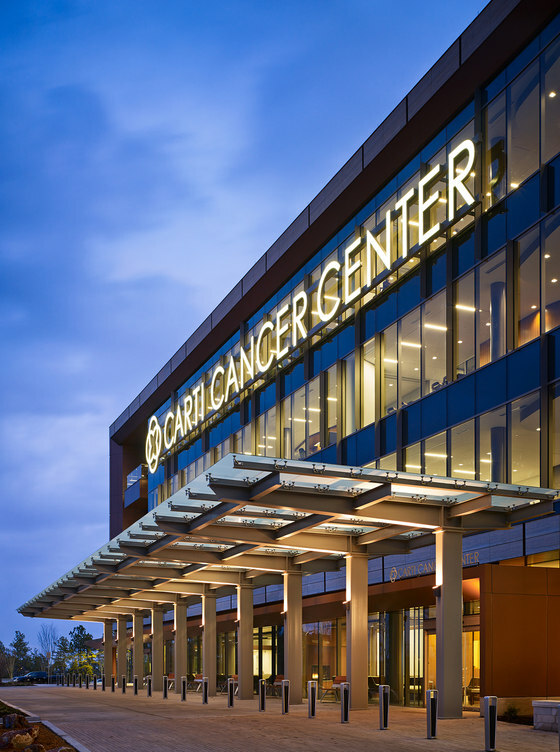 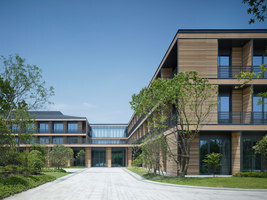 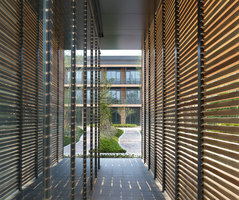 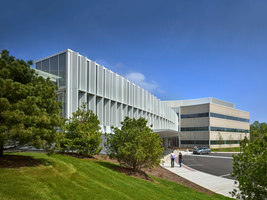 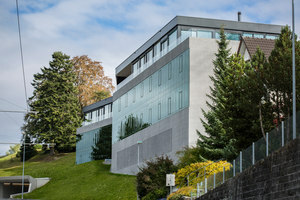 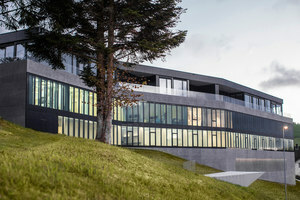 The new CARTI Cancer Center provides comprehensive oncology care, in a single facility with a unique identity designed to provide a comforting and sensitive patient environment while also addressing the needs of the clinicians and caregivers. 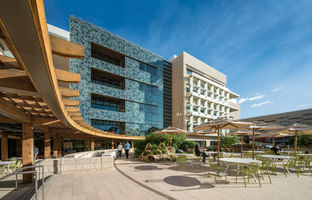 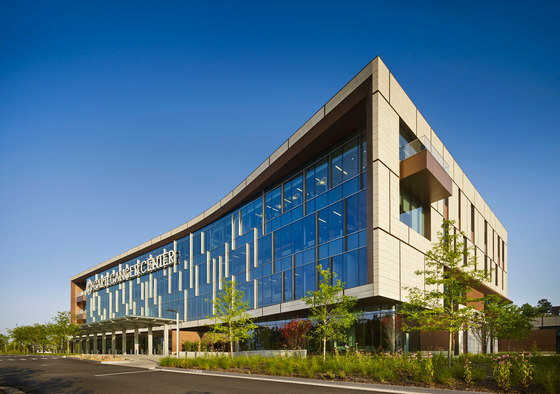 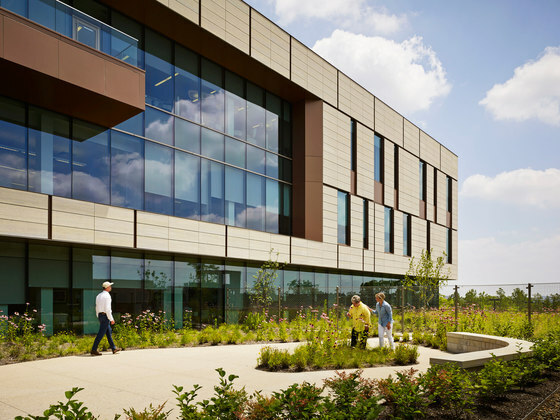 The Perkins+Will multi-disciplinary design team provided architecture, operational planning, interior design, landscape architecture, and branded environmental and signage/wayfinding design for a fully integrated design focused on providing the most positive experience possible for patients and their families. 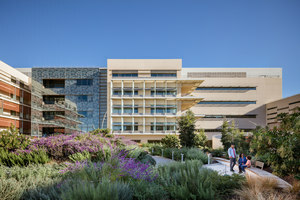 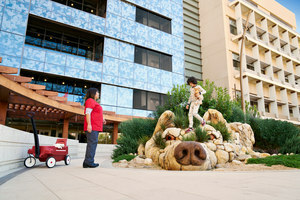 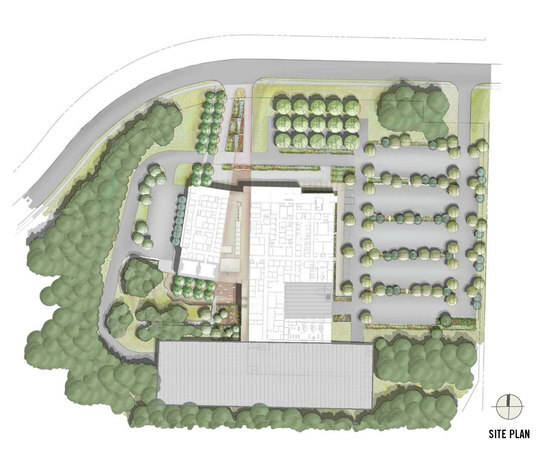 The 176,000 square foot, 4-story building was planned for the patients’ convenience and shortened travel distances with five designated entries and nearby parking for specific patient treatments and care types. 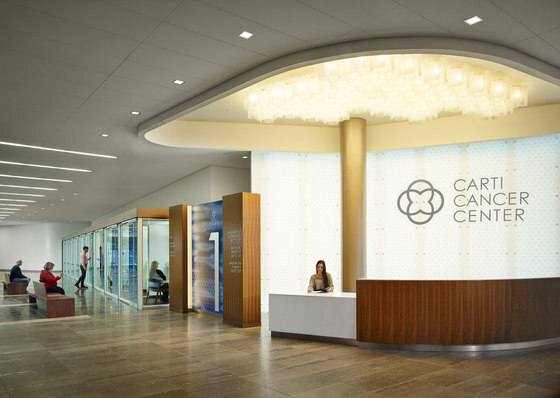 The entries support Diagnostic Imaging, Screening Diagnostics, Radiation Oncology and a main entry for first-time visitors on the first level. 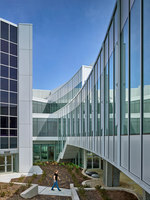 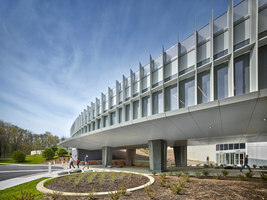 For multi-visit patients, a 2nd level covered walkway connector conveniently ties the 3 ½ level parking deck to their patient care services, arranged in the order of their operational flow with the large patient phlebotomy lab the first stop at this entry. 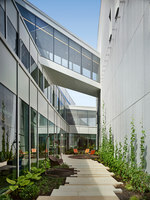 Retail and patient support resources are located on this second level for convenience as patients depart. 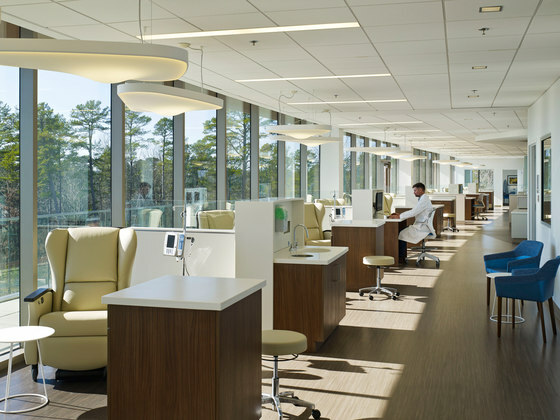 Specialty clinics and physician offices are included on levels two through four, culminating with the 80-position Infusion therapy center, located on the fourth floor that takes advantage of dramatic natural views that enhance the comforting patient environment. 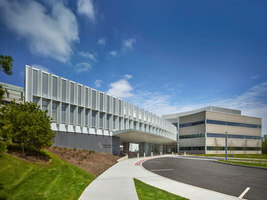 A connector wing between the clinical services and parking deck houses Administration, building support functions and a central energy plant.